Our 2017 national Salary and Benefits in Software Development survey is starting in September and we would like to invite you to participate. Last year, 23 IT companies participated, reporting on 1101 employees in the 18 most common positions in the Software Development industry in Serbia* in three locations – Belgrade, Novi Sad and Nis. What is included in 2017 Salary and Benefits report? 1. Detailed analysis of the current salary ranges for 20 most common positions in the Software Development industry in Serbia*, indicating the min/max / avg./median and lower/upper quartile values on all 3 experience levels – Junior, Intermediate and Senior. 2. Differences in salary ranges according to company location (Belgrade, Novi Sad, Nis). 3. For companies that participated in the 2016 Salary and Benefits survey, competitiveness trend for all the salaries reported in 2016 and 2017. 4. Overview of the national and local bonus and benefits practices, including direct and indirect financial incentives, perks and development opportunities. 5. Overview of salary trends and the frequency of netto/brutto (agency-based) work arrangements. 6. Detailed personalized competitiveness report (optional if you choose to remain anonymous) specifying your ranking in comparison to other Software Development companies on salary size, benefits, promotion speed and rate of voluntary turnover. You can view the research contract here but applications for participation in the 2017 IT Salary and Benefits survey are now closed. 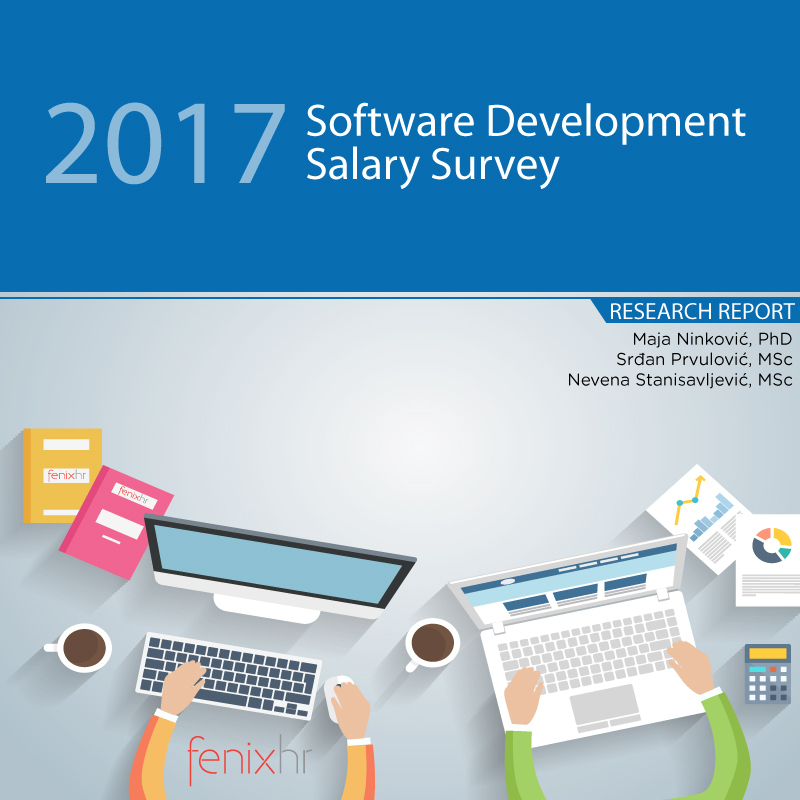 Application for 2017 national Salary and Benefits in Software Development survey for 2017 was completed as well as the the research itself. If you want to participate in the survey for 2018, sign up here. Companies that confirm their participation by 15th July will receive 10% off the research fee. All of the data collected is confidential. The online survey will take less than 20 minutes and can be completed by a qualified member of your HR staff. *Note: The employee listed above is responsible for completing the survey and for direct contact with the Contractor.